LISETVILLE, 1890 — Murders are committed; homes are burned; family secrets are buried; an unexpected romance complicates lives. Amid the mystery and violence, a vigilante brigade emerges to administer justice. 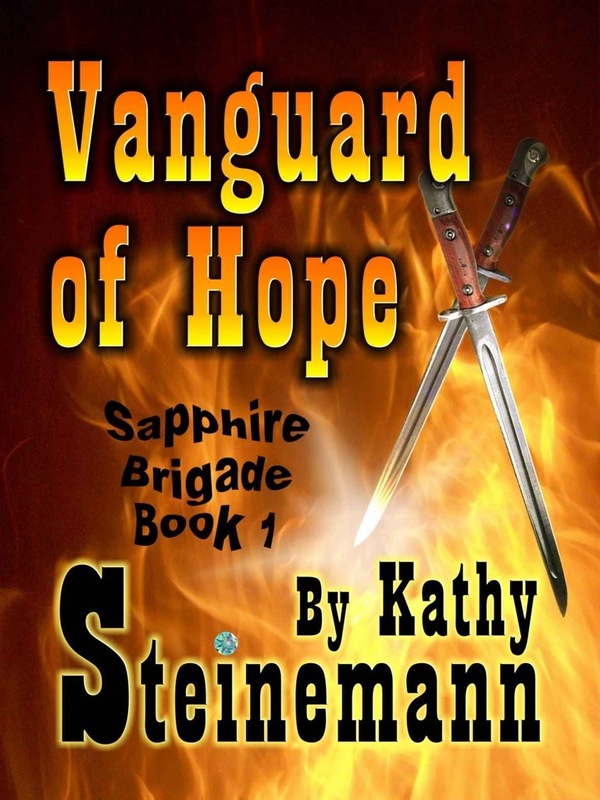 Vanguard of Hope is a historical novel dealing with issues of child sexual abuse, racial prejudice and the effects of Amylotrophic Lateral Sclerosis, ALS (a rapidly progressing fatal neurological condition now more commonly known as Lou Gehrig’s disease). The novel is written as a number of diary entries made by Hope, one of the survivors of child abuse who goes on to develop ALS. Hope is married to the much older Peter, who is a doctor and she doesn’t want to have children. Many of the things Hope experiences or feels in the book can be attributed to the abuse she suffered as a child, like not wanting to have children and her nightmares. Reading this book I felt frustration for some of the choices Hope made but mostly I felt compassion and overwhelming surprise that in the late 19th century Hope, and other victims were able to get support from a therapist/doctor when many people a century later struggled. I found part of myself backing the Sapphire Brigade and their vigilante justice. However, I don’t think retribution facilitates healing or picking up the pieces of a shattered life. Vanguard of Hope is a good read despite how you feel about the events and characters in the book. This easy to read book very cleverly makes you think and evaluate your own values and boundaries. I am grateful for the opportunity to have read this and look forward to the sequel for more about The Sapphire Brigade and provocative reading. Previous Previous post: Blog exclusive: Sally Has Been Spayed!